As political actors in Nepal lose credibility, its armed forces grow in stature. It has become a ritual for a head of government in Nepal after an official visit to India to clarify in parliament that bilateral relations have substantially improved and that there were no compromises on Nepal’s national interest, pride, dignity and independence. Prime Minister Sher Bahadur Deuba was no different when he spoke in parliament last week upon his return from India. This week, an expression by journalist Bharat Bhushan — that Madhesis are “strategic assets” for India — and former diplomat Kanwal Sibal saying “Oli and gang’s” return to power will be disastrous for India, on a programme on Rajya Sabha TV, have gone viral on social media. 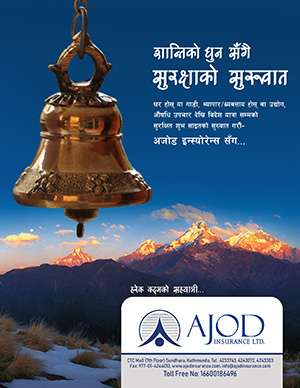 These comments have been seen as the mindset of the “Indian establishment on Nepal” and have led to hostile reactions. That India is trying to turn K.P. Oli, a former prime minister and currently the chairman of the main opposition, the Communist Party of Nepal-Unified Marxist Leninist (UML), into a Mahinda Rajapaksa of Nepal, before the general elections slated in November and December will not be seen independently of the Deuba visit. The talk among coalition partners — the Nepali Congress led by Deuba and the Maoists Party led by Pushpa Kamal Dahal — to form an alliance against the Oli-led UML is unlikely to fructify but it has already given a boost to the image and prospects of the UML among the masses. Oli is seen as a giant and the rest as “pygmies” fighting him. While India’s advice to the Madhes-based Rashtriya Janata Party to join the constitution that they had been boycotting was seen as an indicator of India gradually withdrawing from playing patron to radical politics in Nepal, any role it may play against the UML may be seen as continuing the diplomacy of “micro-management”. If China’s pervasiveness in Nepal is the major worry for India, Oli is not the only “good conductor” to facilitate that. This is not India’s first diplomatic gamble. It chose to work with the Maoists and a section of Madhesi leaders with a radical agenda, giving no decision-making role to its traditional allies like the monarchy and the Nepali Congress, or the people through a referendum on the contentious agenda of the new constitution. India has now been banking on a few individuals — throwing its weight behind Deuba and Dahal — in the hope that its larger interest will be safe. This may actually be more counter-productive in Nepal vis-a-vis China. What makes China more acceptable and welcome in Nepal is its continued assertion that it supports “Nepal’s sovereignty” and the right of the people to decide their political course. No doubt, India seems to have taken note of a certain gap in its past approach, of isolating and humiliating the Nepal army while politically aligning with the Maoists after 2006. 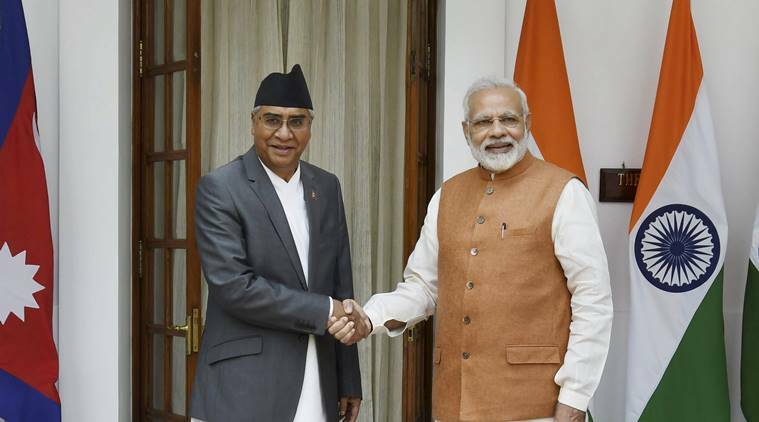 India stated during Deuba’s visit that security was an important aspect of India-Nepal relations and that it would want to enhance the partnership with security agencies in Nepal. The India-brokered deal and the peace accord that followed had put the Nepal Army at par with the rebels. The Maoist combatants and the Nepal Army were pitted against each other for at least half of the 10-year insurgency. The Nepal army has perhaps neither forgotten nor forgiven India, and Nepali political actors, including the Maoists. The army had insisted, through a petition before Nepal’s parliament soon after the accord, that issues like federalism, the continuation of Nepal’s status as a Hindu Rashtra, the monarchy-republicanism debate, should be settled through a referendum. Not only was this demand rejected, those involved in the new deal from both India and Nepal publicly branded the Nepal Army as the “king’s private army”. It is believed that the Nepal army, given its long working relationship with its Indian counterpart, had approached the latter’s leadership to convince the Indian establishment not to alienate and humiliate the Nepal army. Apparently, this did not work, if senior authorities in the Nepal army are to be believed. China’s PLA gradually began building links with the Nepal Army, funding its modernisation. Cooperation was enhanced, leading to the two armies going for their first ever joint exercise in April. Continuing political uncertainty and the prospect of clashes among key political parties ahead of the scheduled provincial and federal elections are distinct possibilities that may have an impact on the constitutionally binding deadline (January 21, 2018). The Nepal Army is the only institution that has grown in the public’s esteem as a trustworthy institution at a time when political parties and their leaderships are thoroughly discredited. The army, however, insists that it will only play a role that the “constitution allows”. But the fact remains that India recognises the significance of its relationship with the Nepal Army, and Nepali political parties are competing with each other to appease it. One conclusion that can be drawn from this is that Nepal’s latest experiment with democracy that began in 2006 has failed. Of course, admitting this will mean a big embarrassment for many actors, both internal and external. Previous Which party will be first in Province-2?